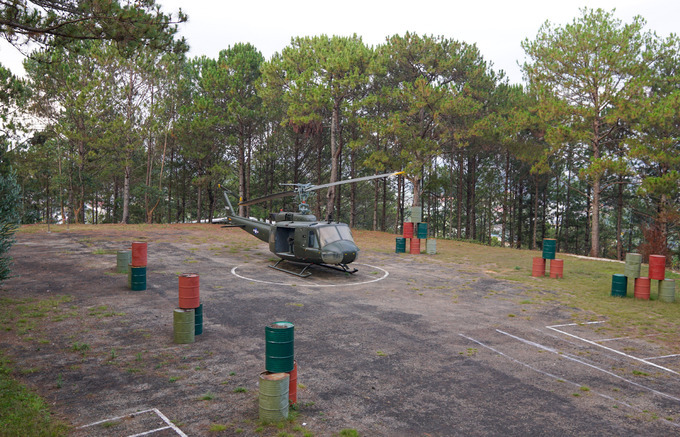 An opulent vestige in Da Lat, used by the last king of the Nguyen Dynasty, has an escape tunnel that leads directly to a helipad. 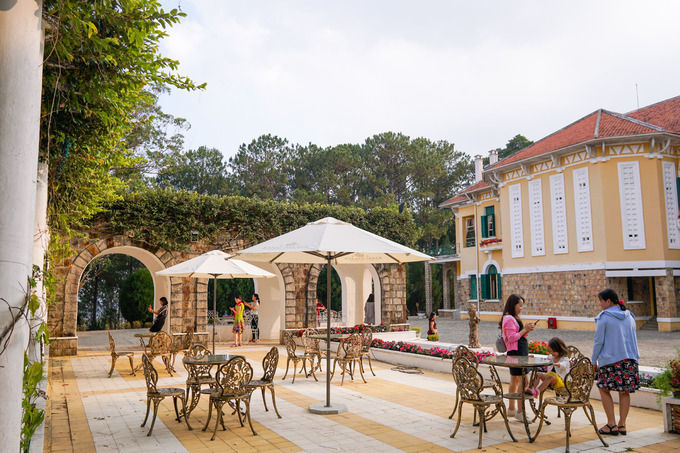 Palace 1 in Da Lat town (the Central Highlands province of Lam Dong) was built by French millionaire Robert Clément Bourgery at an altitude of 1,550 meters in 1933 or so. 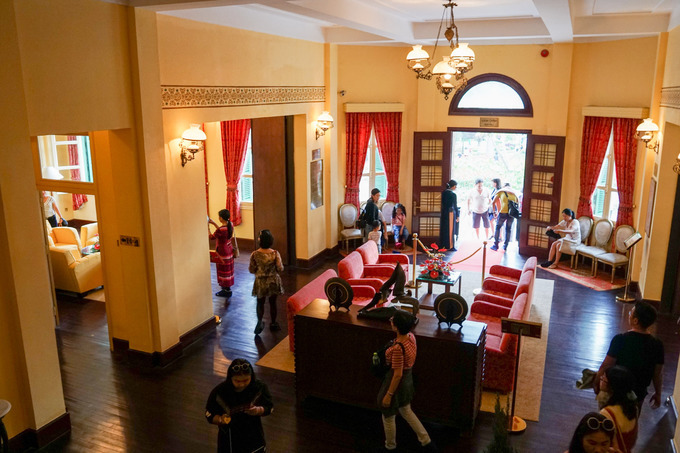 Bao Dai bought the property and turned it into his headquarters as the chief of state (1949-1955) of the State of Vietnam (South Vietnam) in the French colonial time. Bao Dai, whose real name was Nguyen Phuc Vinh Thuy (1913-1997), was the last emperor of the Nguyen Dynasty (1802-1945). 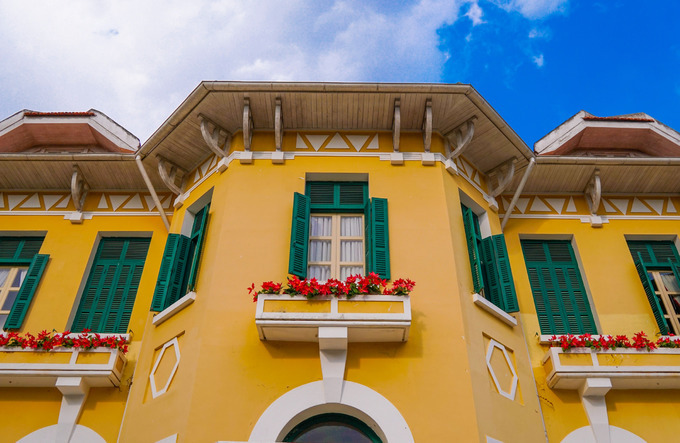 The 2-floor mansion was later named Gia Long Palace, bearing typical French architectural features including green windows and yellow walls. Behind the mansion is a helipad on the back of the hill. In the picture is a Bell UH-1 Iroquois multi-purpose military helicopter produced by the US, popularly used in 1950s and 60s. The helicopter belonged to Ngo Dinh Diem. Diem was South Vietnam's President, installed by the US in the Vietnam war (1954-1975), until he was murdered during a coup in 1963. He used it for his Saigon-Da Lat trips. Palace 1 is situated on 18 hectares of shaded land. 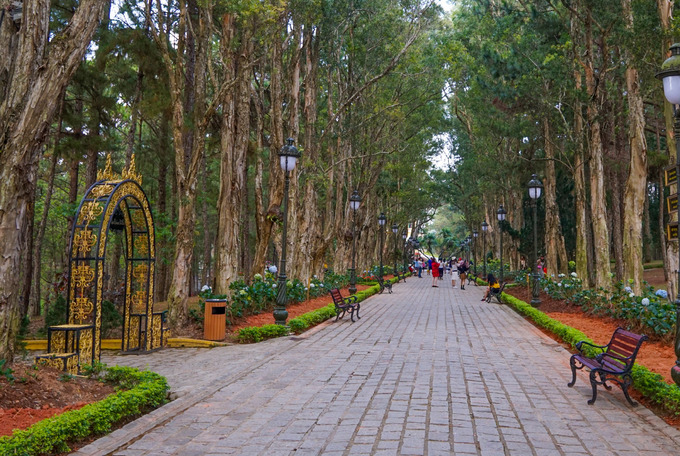 The stone-paved entrance, nearly 500m long, is lined by old melaleuca trees. The palace was reopened to the public in 2015 after restoration. 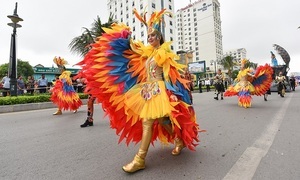 Admission ticket costs VND40,000 ($1.7) per person. 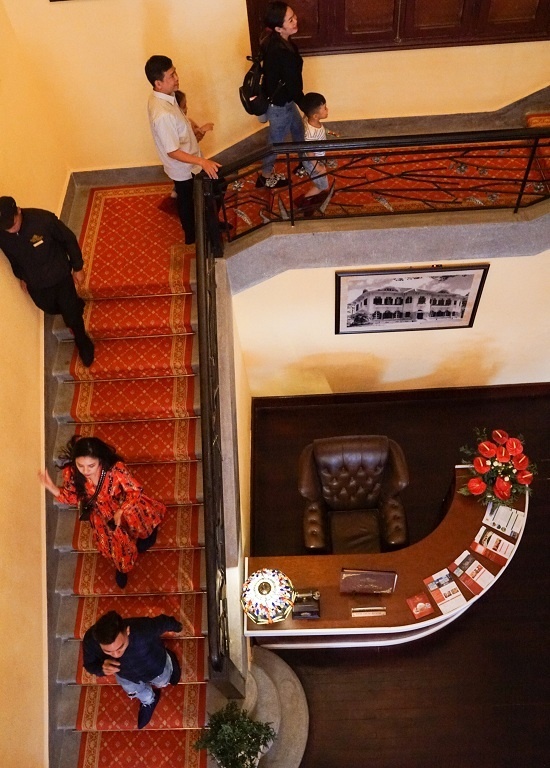 The building has an area of 818 square meters, including 12 rooms. In the main room at the entrance on the first floor is the reception and working place of the chief of state Bao Dai and his officials. The main colors of yellow and red represent royal power. 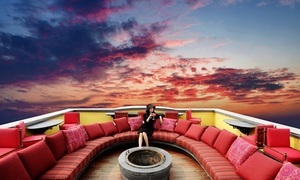 The most important room is located on the second floor. 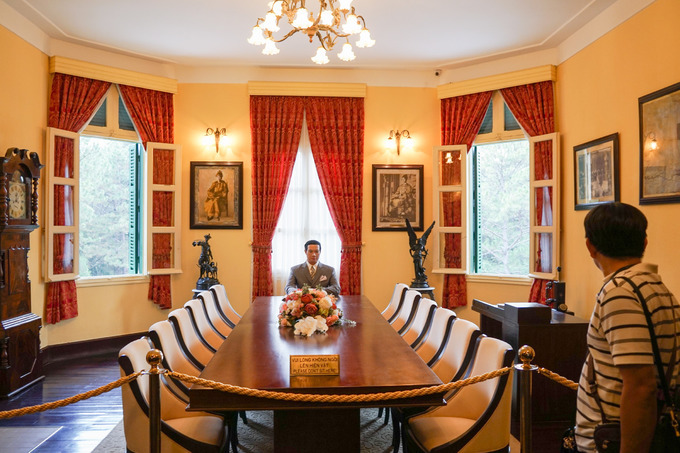 The Cabinet Office was where important meetings were presided over by Bao Dai. A wax figure now sits at one end of the table. 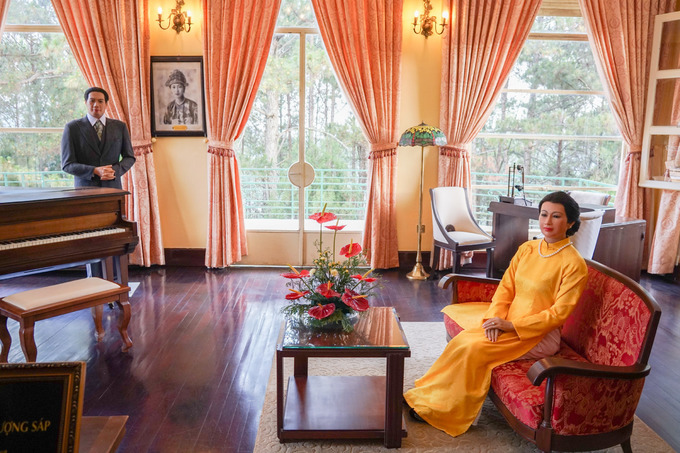 In addition to the common bedroom of Bao Dai and his lady Nam Phuong, each of them had their own room. All bedrooms get plenty of natural light, have parquet floors and a fireplace. All the wood used in the palace was imported from Thailand. 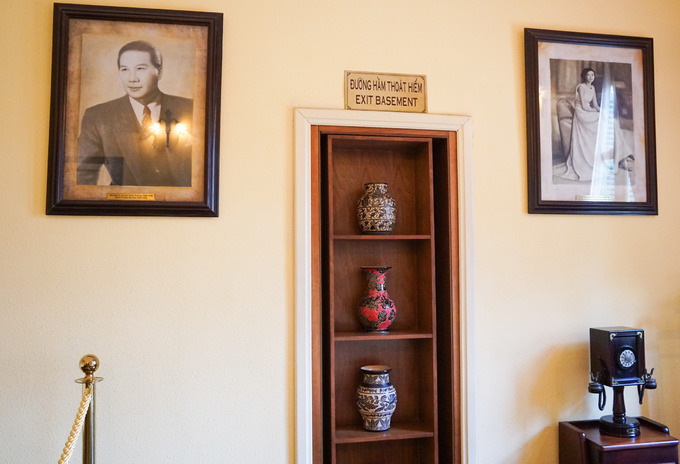 In Bao Dai's office, there was an escape tunnel hidden behind a bookshelf. 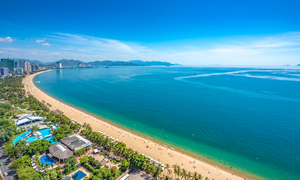 Researchers say the tunnel is hundreds of meters long and 10 meters deep. It was made of reinforced concrete and steel that leads directly to the helipad behind the mansion. Currently, the tunnel is not open to the public. 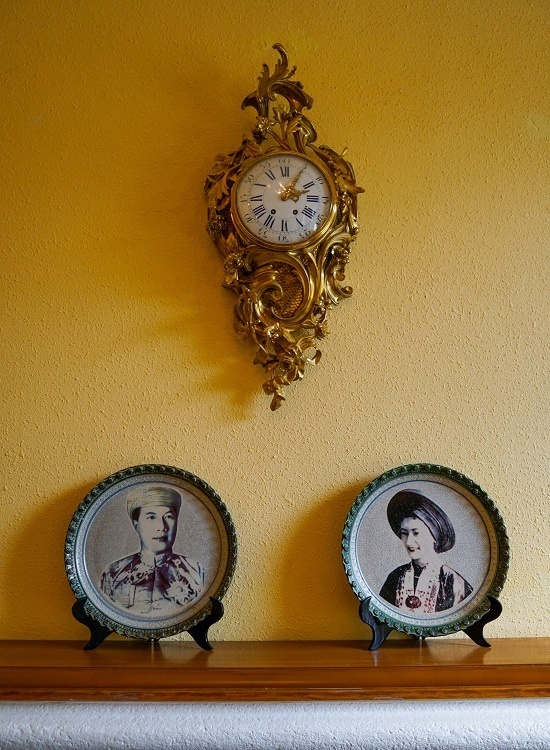 Old items like watches, old style compact disc players, tables and chairs, clocks and other decorative items were all retouched and remain intact. 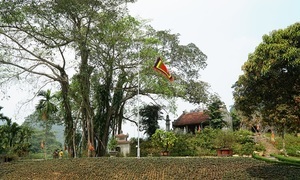 A spacious garden and additional buildings are located behind the main mansion. 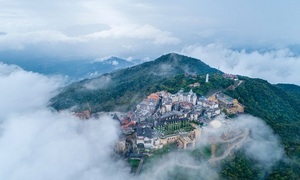 Bao Dai had a building for his musketeers, a swimming pool and stations to rest in after hunting in the valley. 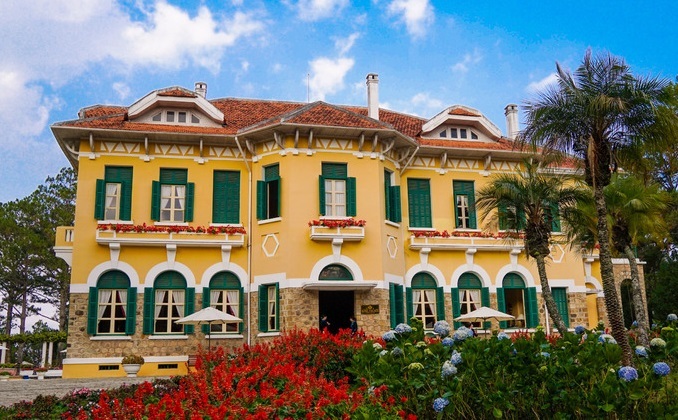 When Bao Dai lived in exile in France, former President Ngo Dinh Diem of South Vietnam took over this palace as a retreat. 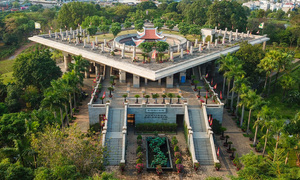 After 1975, the place became a guest house of the new Government and was assigned to some businesses for tourism purposes.